What is the Holy Qur’an? understanding between followers of different faiths. The Holy Qur’an endorses aspects of earlier teachings that are timeless and apply to all mankind and supplements those teachings with further guidance, thereby making it a comprehensive code of life and source of knowledge for all people. Its eternal teachings remain as relevant today as they were at the time of their revelation more than 1400 years ago. the infinite knowledge of Allah (Arabic for the One God) and touch upon history, human biology, nature, evolution, genetics, nuclear power, astronomy, life in other parts of the universe and many other subjects. However the Qur’an is not a book of science or general knowledge as such, but it is a book that implores man to develop his knowledge, to search for truth and thereby enhance his awareness of and relationship with Allah. Has the Holy Qur’an Changed Since its Revelation? No. 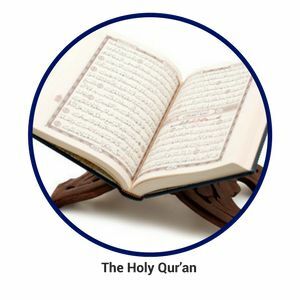 One of the unique features of the Holy Qur’an is that it is the only Divine scripture in which the text has remained completely unchanged since it was revealed. This preservation of text was promised by God in the Holy Qur’an and is unique to it. During the lifetime of Prophet Muhammad (peace and blessings of Allah be upon him) the entire text of the Holy Qur’an was written down and committed to memory by thousands of Muslims, a practice that has been followed ever since. 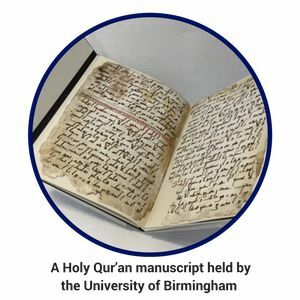 This is also one of the ways by which the text of the Holy Qur’an has been preserved in its original form. The Holy Qur’an was not authored by any person. It was revealed by Allah (through the Angel Gabriel) in the Arabic language to Prophet Muhammad (peace and blessings of Allah be upon him) over a period of 23 years. Prophet Muhammad (peace and blessings of Allah be upon him), as was common among the Arabs of his time, had no schooling and was unable to read or write. When he received the verbal revelation of the Holy Qur’an, he used to dictate the words to his appointed scribes. This is how the entire text of the Holy Qur’an was transcribed within the lifetime of the Prophet (peace and blessings of Allah be upon him). Is the Holy Qur’an Just for Muslims? No. The Holy Qur’an states that it is ‘… a guidance for the righteous’ (Ch.2:V.3) and ‘a guidance for mankind’ (Ch.2: V.186). This means that all those who seek truth with a pure heart will find the Holy Qur’an to be a rich source of guidance. 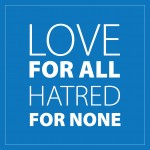 The teachings of the Holy Qur’an set out the key principles in every sphere of life. The Qur’an provides complete guidance on how man can achieve the object of his creation and explains the basis upon which he will be judged in his next life. An enormous amount of knowledge and meaning is compacted into each verse, word and indeed each vowel. At the same time the Holy Qur’an uses expressions that are rich in allegory and teeming with symbolism. It discusses spiritual and intellectual subjects by way of narratives and in parables, the objectives of which are equally applicable to the past, present and future. Its poetic style makes it easy to read and memorise. Every concept, principle and law necessary for man’s ethical, moral, intellectual and spiritual development has been expounded in the Holy Qur’an. The Holy Qur’an also reaffirms the fundamental principle of freedom of religion for all, leaving man free to accept or reject its guidance with accountability to Allah alone. 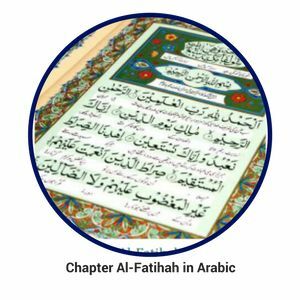 The first chapter of the Qur’an, Al-Fatihah (stated below), contains the essence of the teachings of the whole of the Qur’an. ‘In the name of Allah, the Gracious, the Merciful. It is recited as part of the daily prayers by Muslims throughout the world, remindingthem of the bounties of Allah. 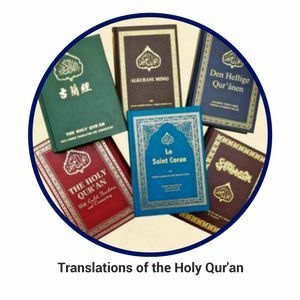 The Ahmadiyya Muslim Community has translated the text of the Qur’an into more than 65 languages including Bangla, Chinese, Dutch, English, French, German, Korean, Japanese, Persian, Russian, Swahili and Yoruba. It has also published the translation of the Qur’an in Braille.